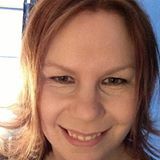 Posted on July 7, 2015, in Our Guest Writers' Creations and tagged dragons, Erika Gardner, fantasy, Fiction, Karen Soutar, short story, witches, writing. Bookmark the permalink. 8 Comments. Perfectly awesome, Karen! Just the right mix of worlds! Thank you sooooo much!!!! I love dragons and stories about dragons and this one because it is fresh and surprising.